On this page you'll find articles I've written about current events and happenings in St. Petersburg as well as links to some valuable resources in St. Petersburg and around the world. It's a great place to "get to know" St. Petersburg before you arrive. Why come to St. Petersburg in the Winter? 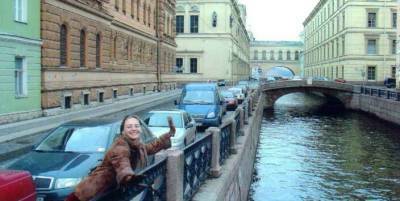 Bridge to Moscow is a team of professional Moscow tour guides and interpreters. Provides services for independent travelers: tours of Moscow in 1-5 days, customized tours, layover tours, interpreting at international exhibitions. TripAdvisor is a reliable trip planning site providing advice for trips around the world. Here you can find just a few of the many positive reviews that I've earned. I'm happy to provide more at your request! Arthur provides full range of reliable services as a private guide and professional driver in Moscow for tourists and businessmen. He can help you to book accommodation, organize all transportation needs, be your guide everywhere you go. Personal and friendly services are the motto of his business and he has a lot of great testimonials from former clients at his website. Elena's services in Moscow include guiding, translating, interpreting, transfers and private drivers. Apartments in St. Petersburg, Russia Six comfortable and fully e quipped apartments. These apartments include free ADSL Internet and are for rent in the very center of St. Petersburg, Russia. The best alternative to hotels. Visa Support, transfers, tourist services. Julia is a Russian and English-speaking guide in Budapest Hungary . She offers tours and excursions of Castle Walk, the Jewish Quarter, Gödöllő, Sissy's Palace, Danube Band and much more. She is full of secrets and interesting stories from the Hungarian land! Travel and Tourism Directory is a valuable resource for planning tours and finding a creditable tour guide in Europe and Eastern Europe.